After 38 years I know how to make a new piece of walnut match the color of 200 year old wood. Bail pulls and escutcheons are from Ball and Ball. The finish is brushed shellac. The finish was rubbed out and waxed. I believe this desk is from Pennsylvania, 1790-1810, because of the secondary woods that were used. 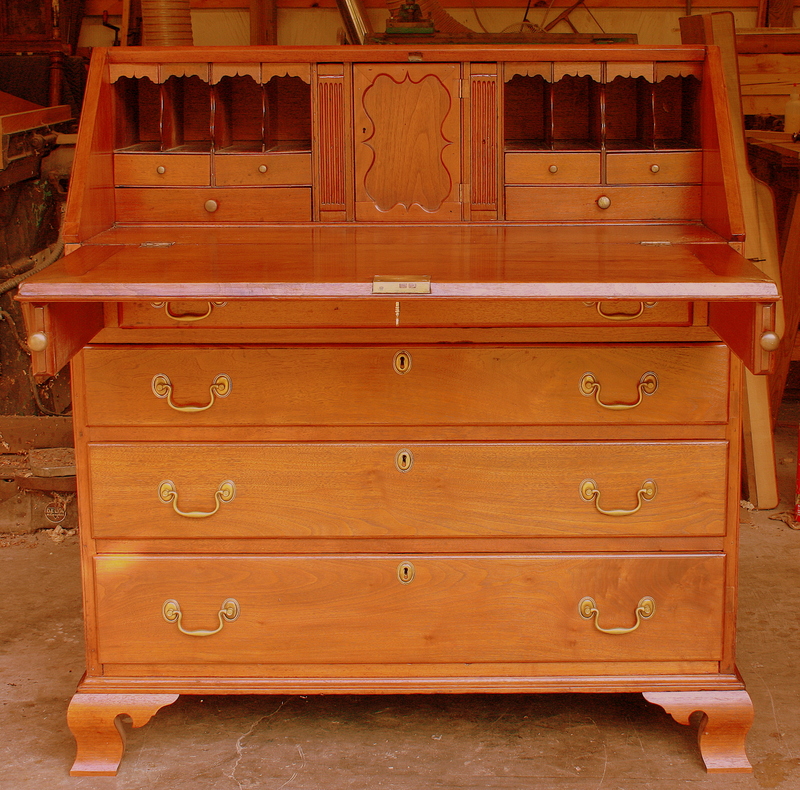 The desk is 44 1/4″H, 39 3/4″ W, 22″ D. The price is $2,800.00. 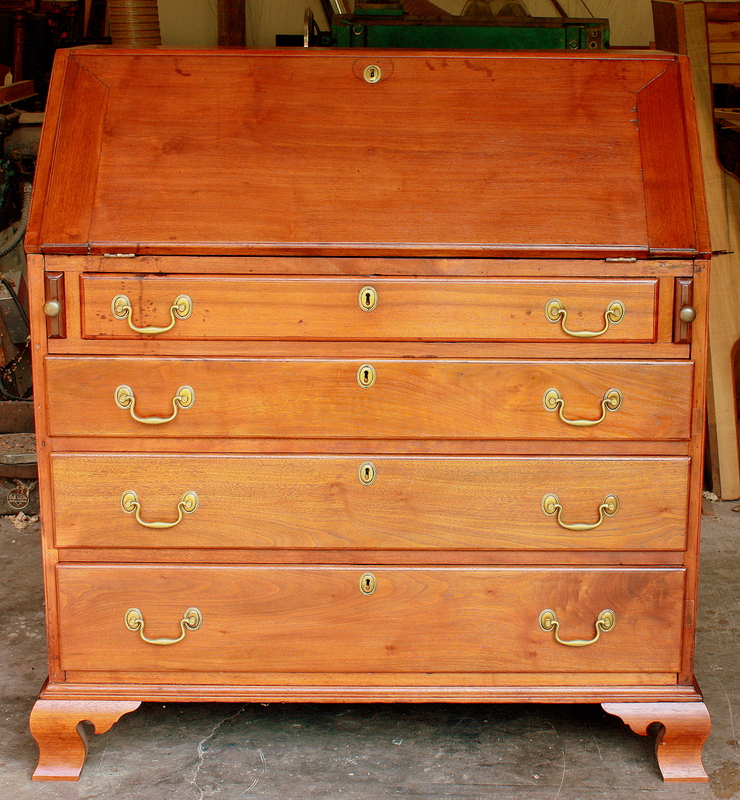 This entry was posted on September 3, 2011 by furniturewithhistory. It was filed under slant-front desk and was tagged with ball and ball, color match, ogee bracket feet, peroid hardware, pigeon holes, slant-front desk.